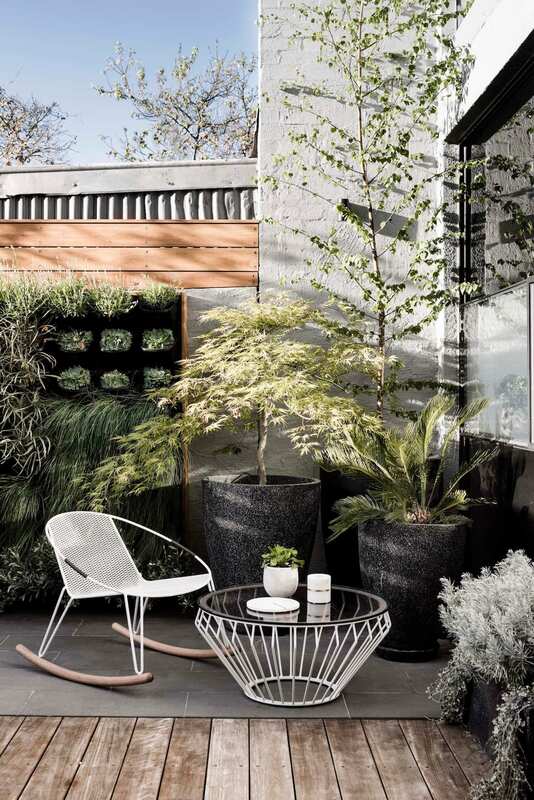 Creating space is a core focus of any design brief, but for inner-city homes this objective is crucial. 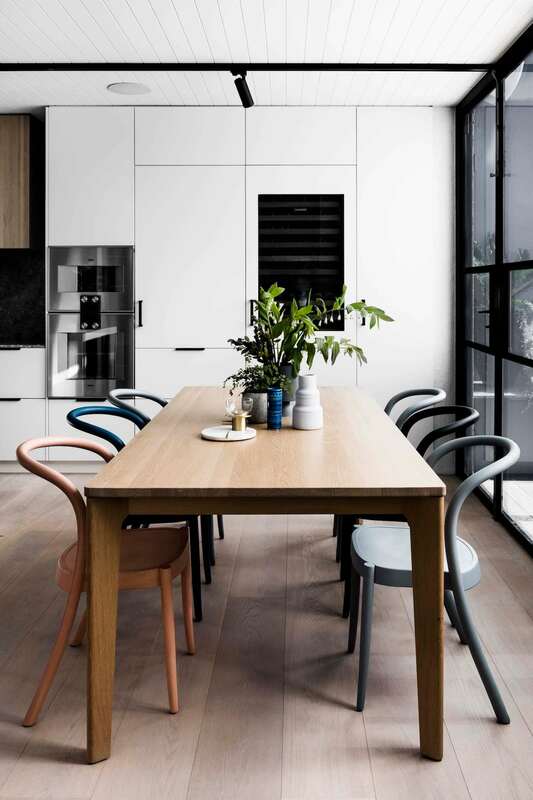 We were understandably impressed to come across this Richmond home by Techne Architecture + Design, a local studio we’ve previously admired for their clever use of unusual shapes (Mammoth) and sophisticated warehouse conversions. 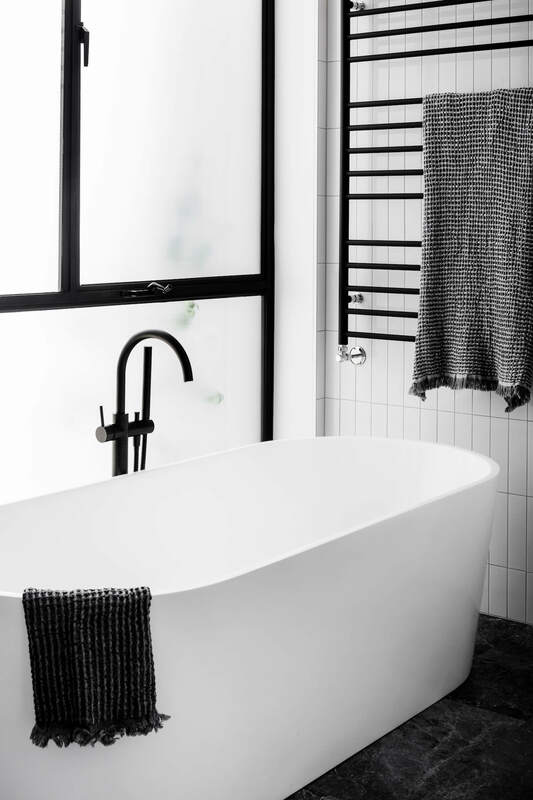 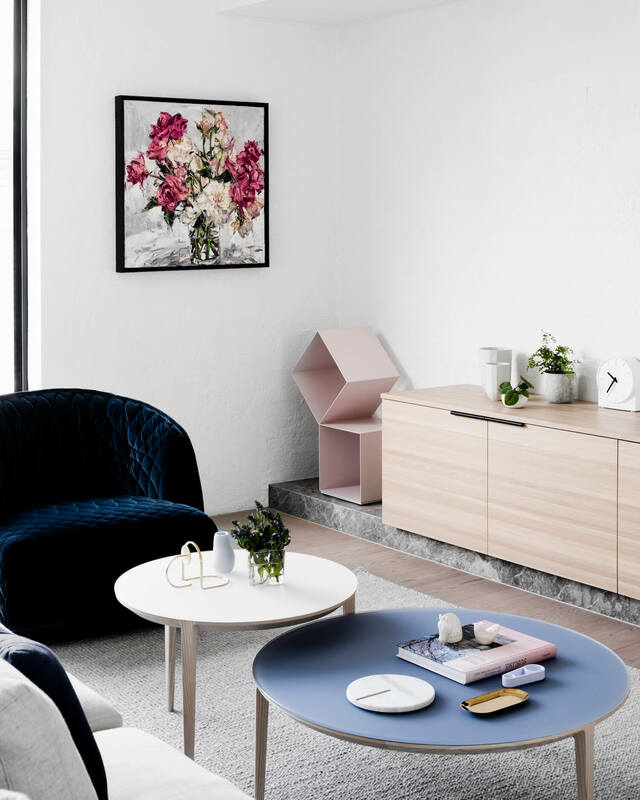 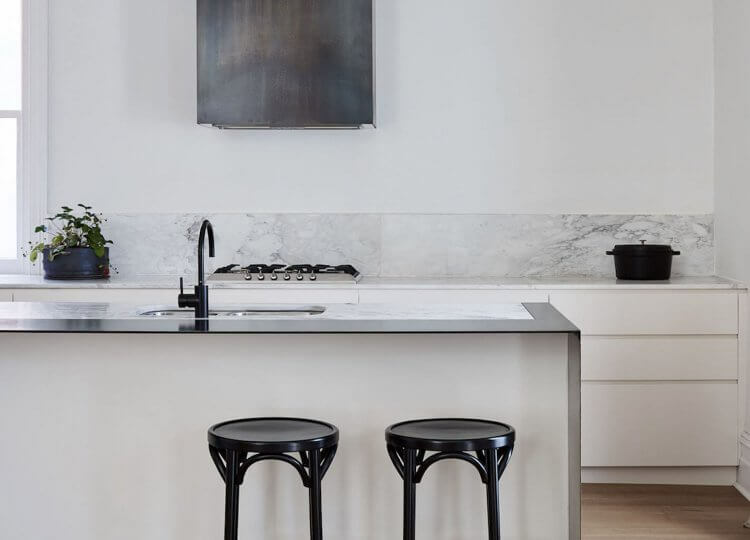 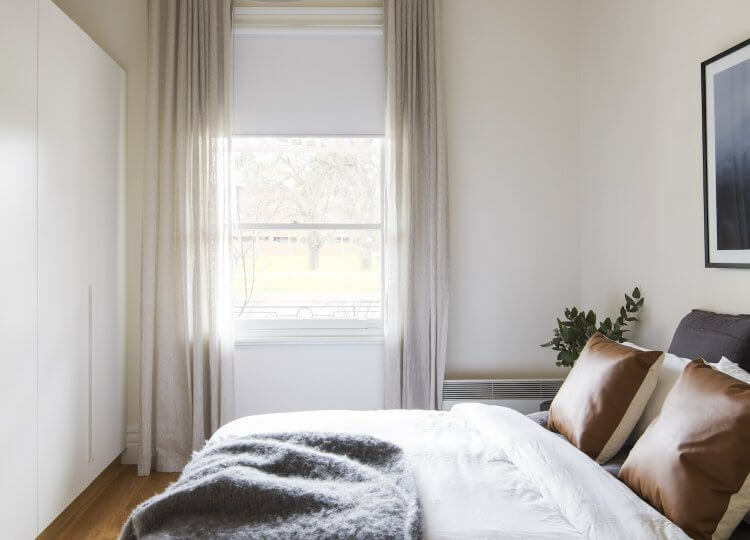 This time around they’ve reworked a three bedroom home in Richmond to strike a balance between refined minimalist spaces and the practicalities of family living. 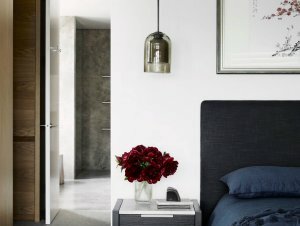 Responding to a client brief that called for an understated contemporary space that would accommodate a love of entertaining, Techne Architecture + Design substantially reconfigured the floorplan, integrating new front and rear courtyard spaces and striking steel-framed windows and doors to bring in natural light and draw the indoor and outdoor spaces closer together. 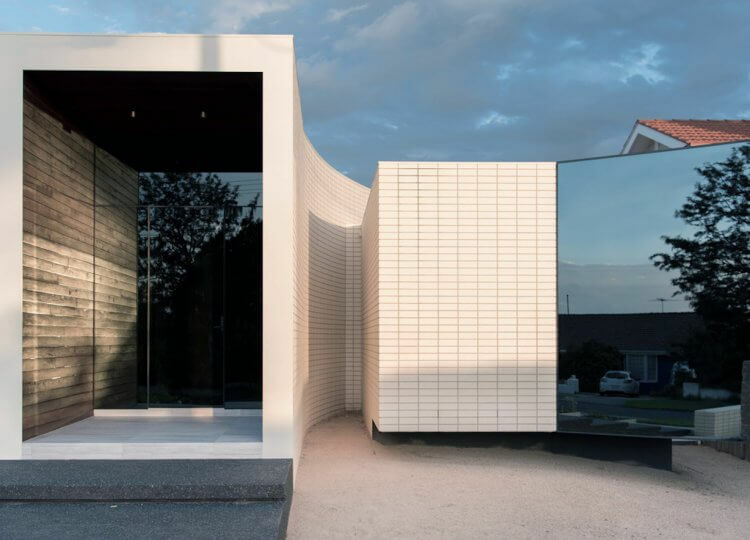 “We envisioned a space that would exude a sense of lightness and bring calm to those within it” said the architects. 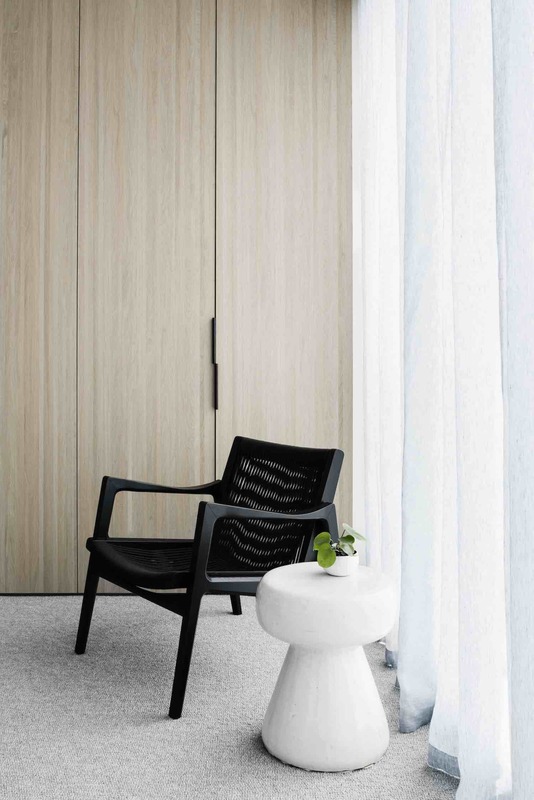 True to this approach, the inclusion of the outdoor courtyard spaces and the visual connection created by the large windows lends the space a feeling of spaciousness and calm – the resident’s own private oasis in the midst of the inner-city grind. 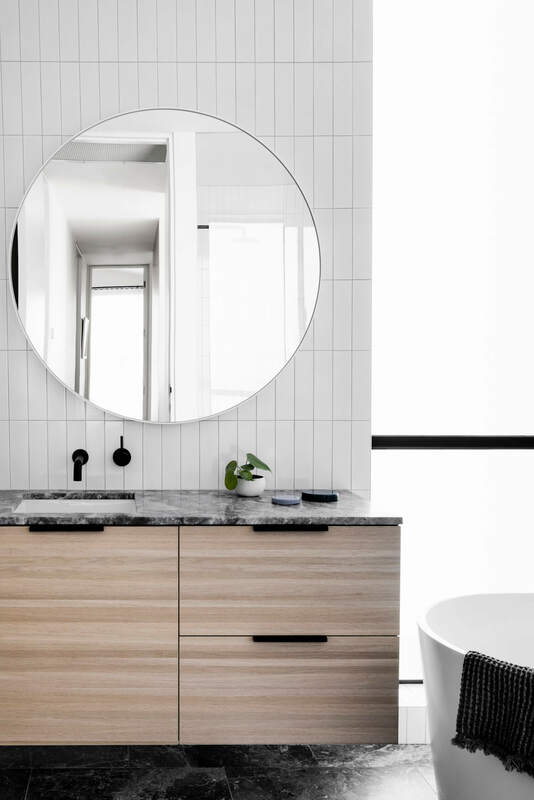 The open plan layout supports both fluid entertaining areas and space for a small child to play, while a new staircase makes space to tuck a powder room underneath. 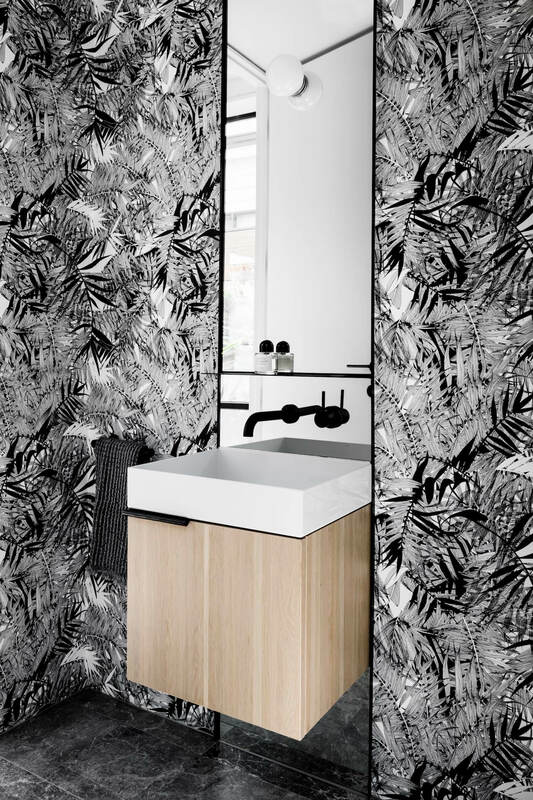 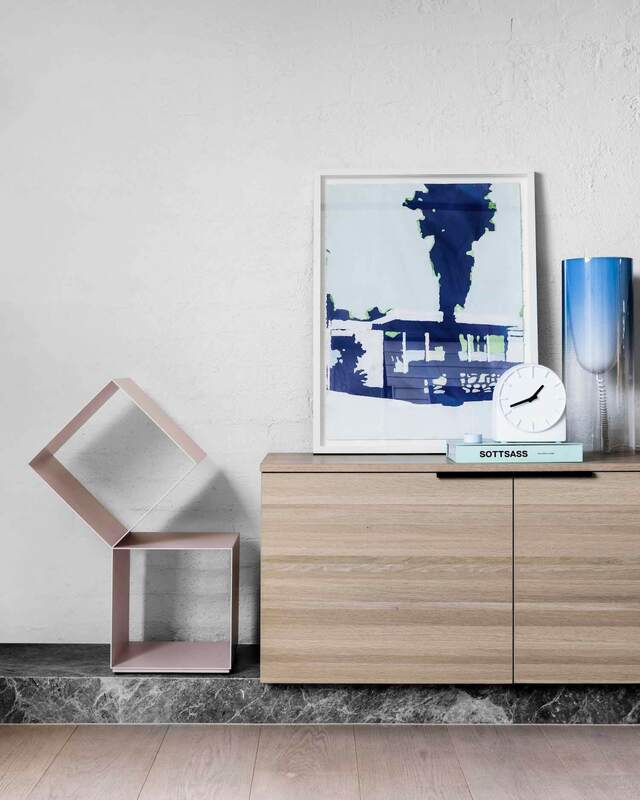 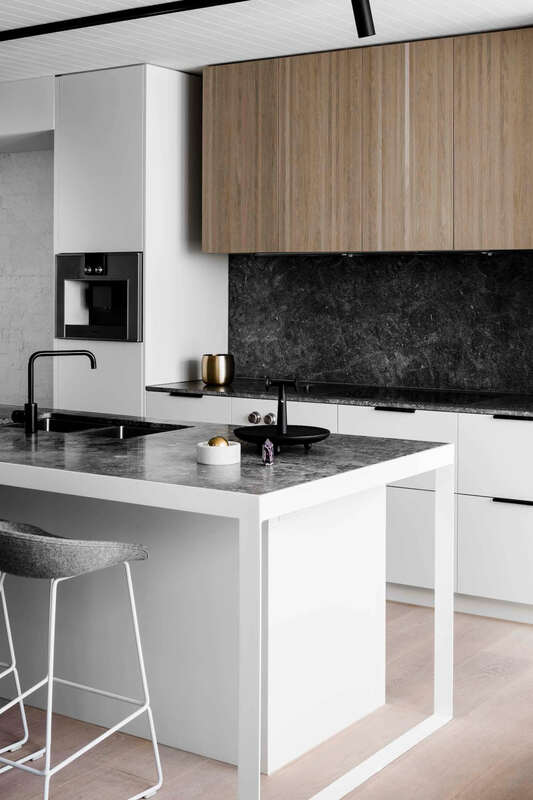 A refined selection of materials and a predominantly monochrome colour palette serves both the light touch of the design and an easily-maintained sense of sophistication. 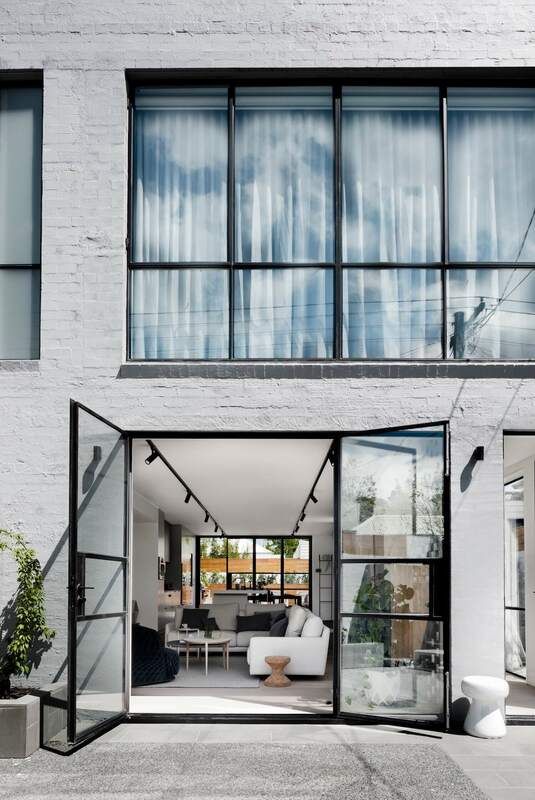 Framed by the black steel doors and windows, the abundance of natural light contrasts nicely with recurring elements like marble, timber, chunky carpet and rendered brick. 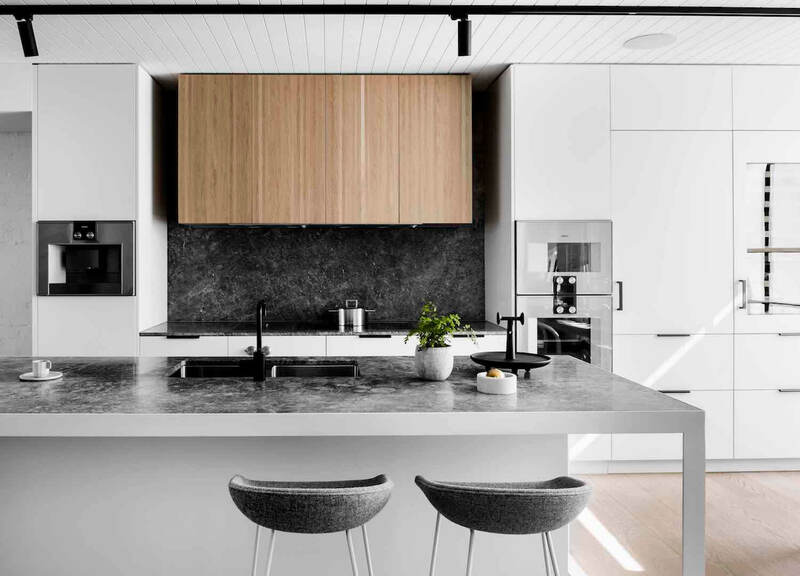 Clean, crisp cabinetry in the kitchen hides away a myriad of appliances for creating and entertaining, while the bathrooms pare back features and colours to lend emphasis to key features, like a freestanding bath or an eye-catching wallpaper. 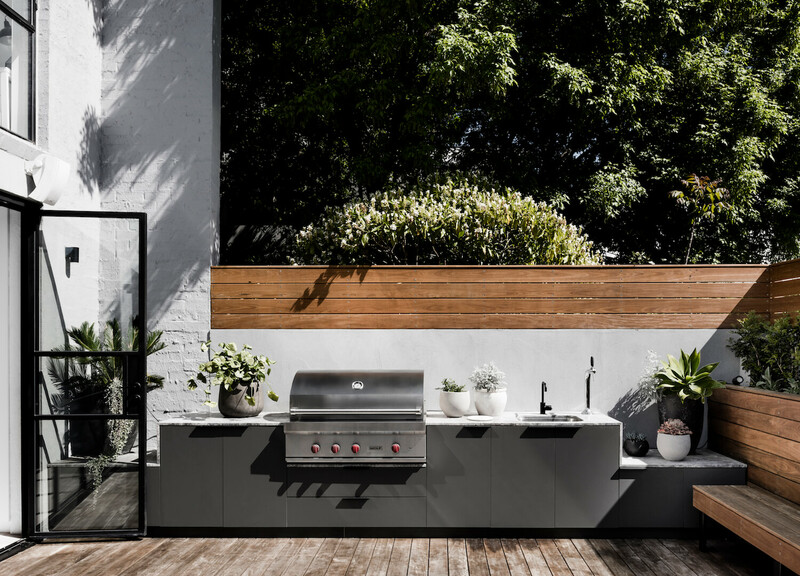 The attention to detail doesn’t end at the door either, with the courtyard taking on a clear character of its own with timber trellises, small planted trees and succulents and a relaxed collection of outdoor furnishings. 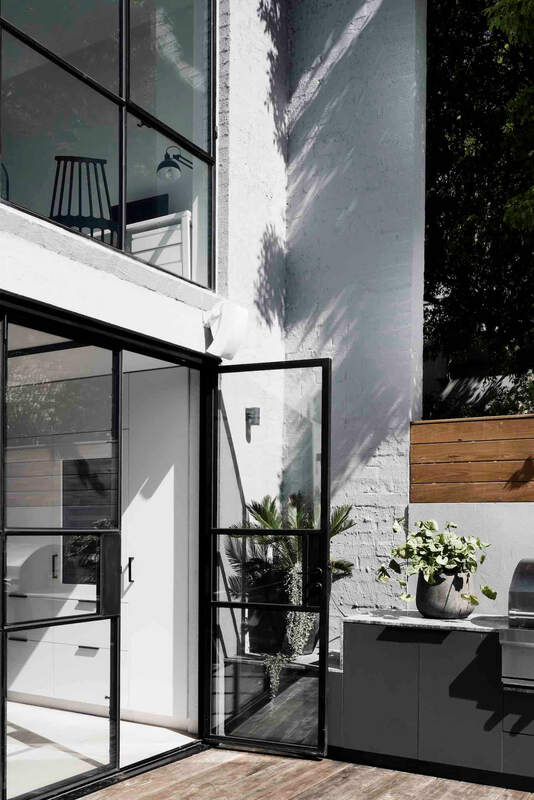 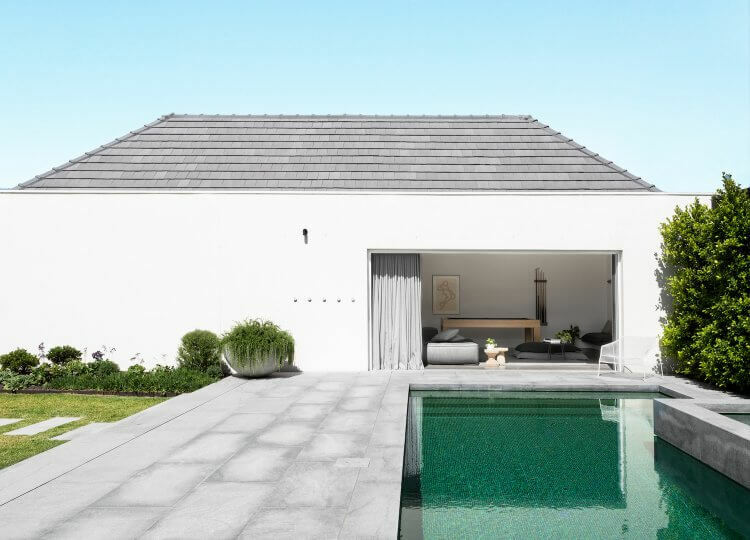 It’s refreshing to see a courtyard space that doesn’t feel like an afterthought but rather a crucial part of the resident’s lifestyle – again, a sensible decision given the limited space to work with. 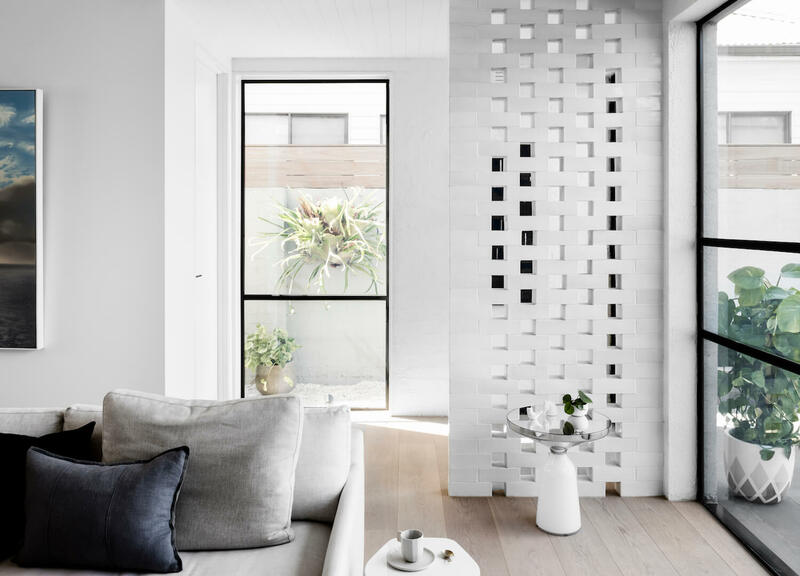 Sheltered from the neighbours and bathed in sunlight, it’s an effective extension of the living area and exemplifies the bespoke yet practical aesthetic of this home. 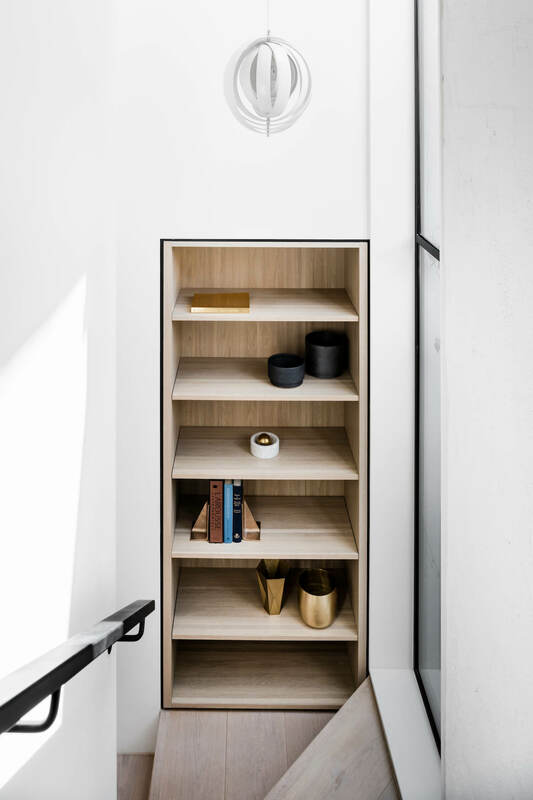 While the ground floor ceiling was relatively low, Techne Architecture + Design have used painted timber lining boards running north to south along the ceiling, helping to increase the sense of width and drawing natural light in through texture. 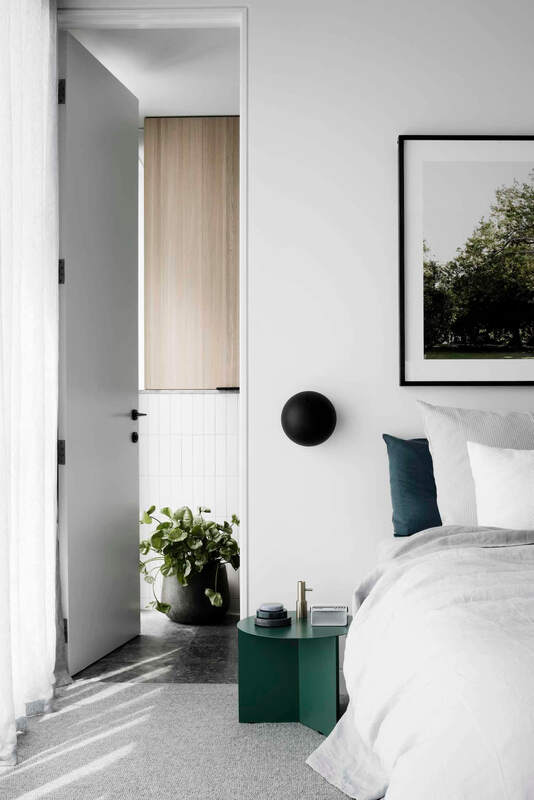 Contrasted with the minimal black track lighting running across the ceiling, the elements frame the space while keeping the ceiling uncluttered.